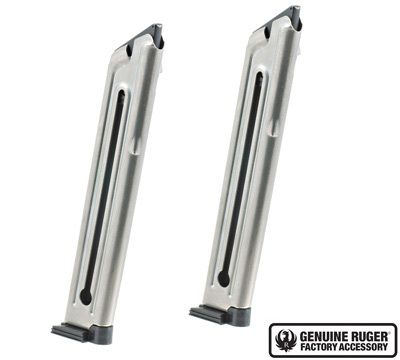 - 2-Pack (two) steel, 10-round, .22 caliber magazine for the Ruger® Mark IV™ and Mark III™ pistols. New Electroless Nickel finish is super slick. Fits, feeds, and functions better than blue mags. Fits all Ruger Mark III and Mark IV models (NOT 22/45). Note: These Magazines Do NOT Fit 22/45 models.